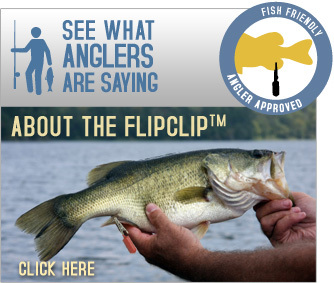 FlipClip™ - Fish Friendly, Angler Approved. To the Point. The in's and outs of fizzing fish to save them. 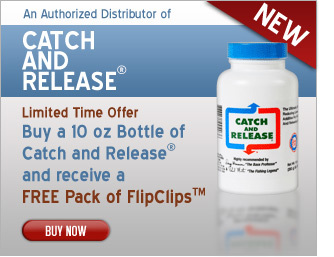 FlipClip Fishing is now an authorized distributor of Sure-Life Laboratories, manufacturers of Catch and Release® live-well additive. When pulled from deep water, the air bladder swells and will cause the fish to "belly up" in your live well. If it does make it to weigh in alive, it's chance of survival when released is minimal. “Fizzing” can be dangerous if not done properly. Don’t take the chance to permanently harm your fish if you are not comfortable in performing this procedure. 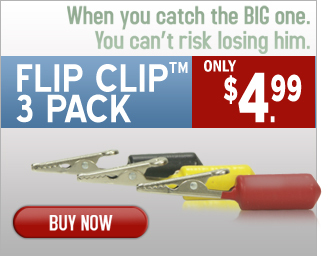 The FlipClip™ is a safe, non-invasive solution to keep deep-caught fish oriented upright in your live-well and prevent the fish from "bellying-up"